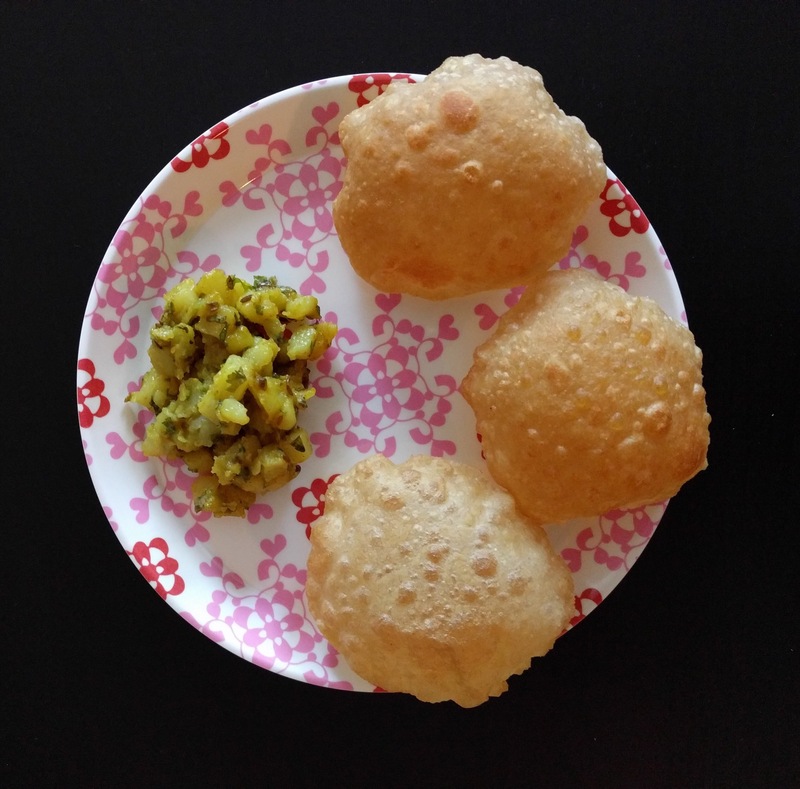 Batat bhaji or Aloo subji is one of my hubby’s favorite while I love the combination of batat bhaji with puri for breakfast or snacks. It had been quite some time now since we had it. My hubby had a craving for the subji. ﻿As it was new year, I decided to prepare and start the year with something traditional. 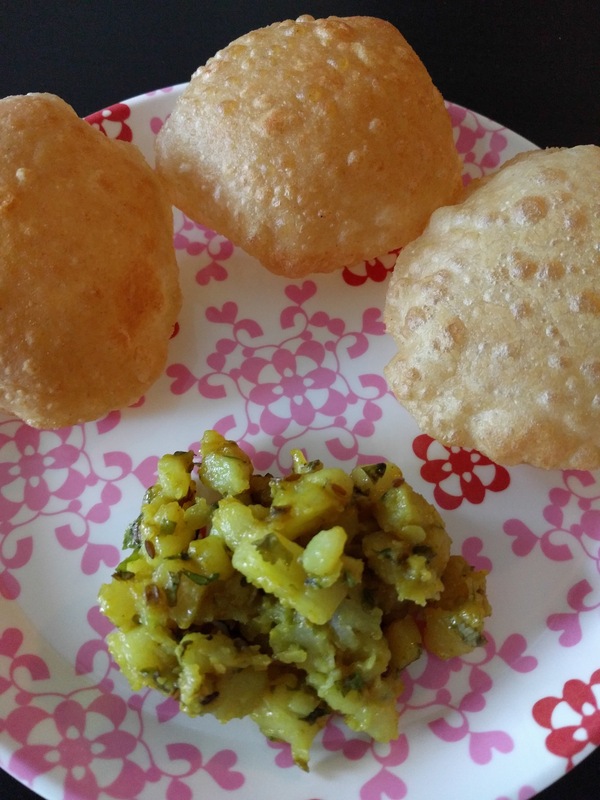 So was ready with puri bhaji for breakfast. For the puri, mix flour, oil, salt and water as required to knead into a soft dough. Cover with a damp cloth and allow to rest for around 15-30 mins. Mix potatoes, turmeric powder, cumin powder, green chillies and salt. In the meanwhile, heat oil in a pan. Add the mustard and cumin seeds. Once they flutter add the asafoetida. Then add the potato mixture and mix well. Cover and allow to cook fo 5 minute but take care that it does not get burnt. Put off the heat and garnish with coriander leaves. Heat oil for deep frying. Keep on low to medium flame. Divide the dough by pinching one inch balls of the dough. Roll each into a slightly thick but not too thick disc. Too thin will not allow the puris to puff up. Deep fry the puris till slight golden brown. Serve hot with batata bhaji. Enjoy! !